Yes! Finally an add-on like this! Thank you so much! I've been running around finishing the quests I've missed and I did notice that the exclamation mark (!) 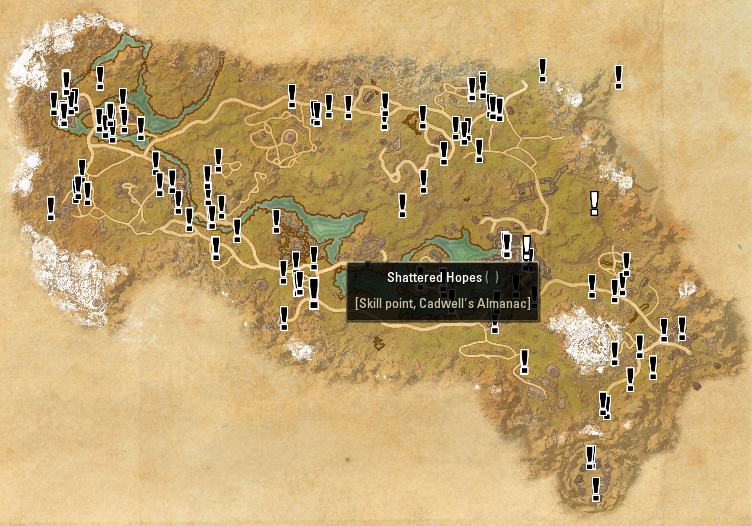 with the location of the quest I've just completed stays in there until I do a /reloadui. Is that a bug or there's no way around it? Other than the ! staying in place until /reloadui, it's been a blast running around finishing up all these missed quests. btw: I guess the "!" icon is staying there as the game's function (or this addon does not use the function after an updated quest again?) won't register the updated quest directly, but only after a zone chage or realoadui. If I think about it it should be this addon that doesn't update properly as quests will be updated even if your client crashes in between. Last edited by Baertram : 04/06/15 at 06:55 PM. 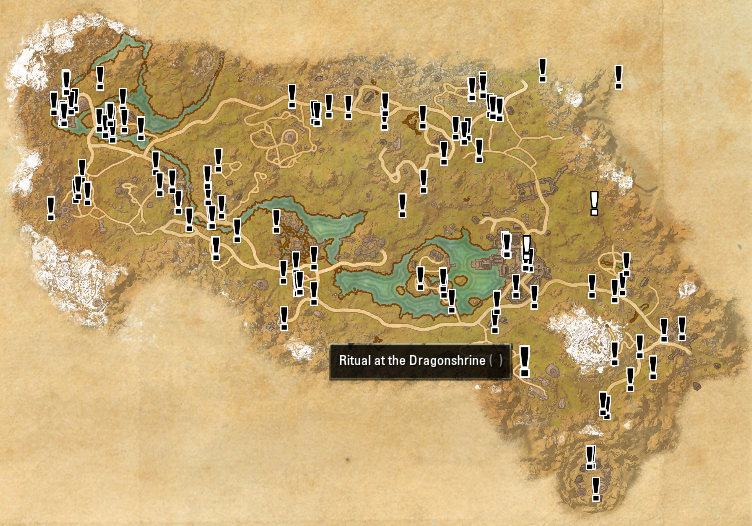 Some quests show the (!) even though I've already completed. Most zones I was able to finish all the quests I've already missed, but there's one or two zones which had ALL quests still showing, even though I've finished them before I quit the game many months ago. Would it be possible to have a slash command (something like "/qm zdone" or something) to manually set all the quests in the zone as completed? Would it also be possible to have a check box to whether or not have Cyrodiil quests show up or not? I really don't like seeing those (!) 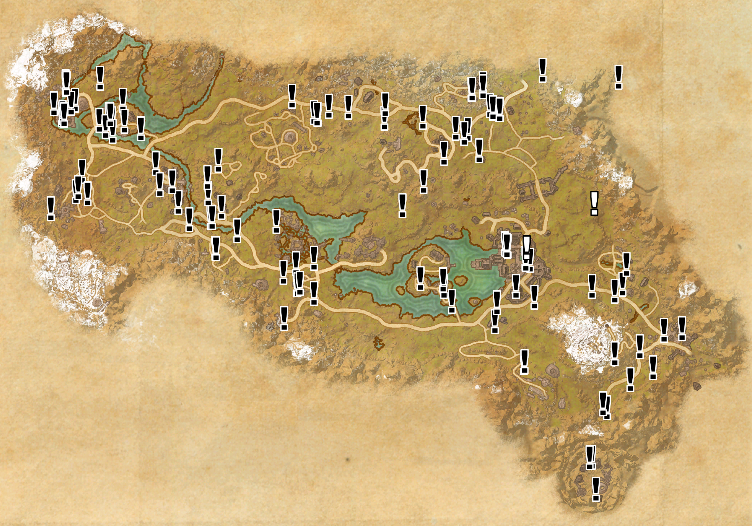 in the Cyrodiil map. Last edited by Sinful Soul : 04/06/15 at 07:57 PM. Oh yes, thanks for reporting, it shouldn't be to hard to fix this. Hm, interresting.. Can you tell me for which zones that happened? Were it subzones (like caves etc.) or main zones (like Auridon/Stonefalls/Glenumbra etc.)? I also thought about that, but then forgot it . I'm planning to crate another map pin filter for repeatable quests, but I guess I could also use an option in the setting menu to hide the markers in Cyrodiil regardles of the filter settings. Last edited by CaptainBlagbird : 04/07/15 at 02:25 AM. Last edited by dominoid : 04/07/15 at 10:01 AM. Interesting idea, I'm going to put it on the ToDo list and will look into it when I have time. Glad to see this addon, for sure. Destinations has similar functionality but it's definitely not as complete as what you've done, and I'm grateful someone was able to make this work. Thanks for doing it. Last edited by CaptainBlagbird : 04/07/15 at 02:33 PM. Key "show" must be defined if you expect that you hit more then one pin with mouse click. Sorry for the delay, but this is happening in almost all zones. All zones I have one or two (!) markers in them. 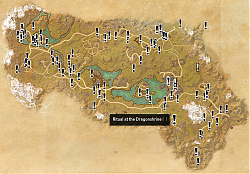 Most of them are in subzones, like Vulkhel Guard in Auridon and so on, but some of them are out in the world too. Nearly every zone has those (!) markers for quests I've already finished. 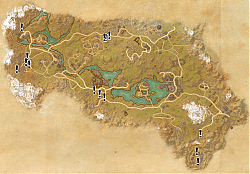 I think just 3-4 zones (besides all the little island ones) are totally completed. The rest all show the (!) markers, even though I've finished them all. 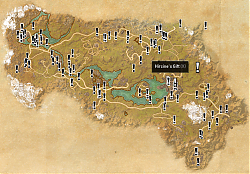 Is only putting the quest start on map a possibility? Seeing all the steps in one quest is pointless because the quest updates show you exactly where to go. This doesn't work with Sorien's ESO Launcher (Graphics Enhancer). The add-on settings appear fine and the two filters appear in the map screen but it doesn't display any markers and there's no error message either. Checked with all other add-ons disabled and it didn't work then tried launching the game normally and it did work. Hi, I have many quests shown as undone in many (almost all) zones (and exactly the same as Sinful Soul in the three ones he showed) however they were completed a long time ago (five months before 1.6). From 0 to 7 for each zone (playing with french client).